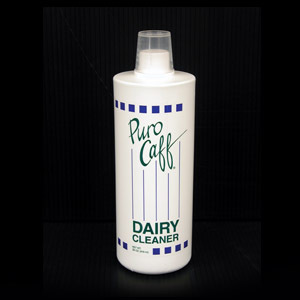 Purocaff cleaner is ideal for removing milk residue, and even works to gently clean espresso filter baskets. Add a capful of cleaner to room temperature water. Submerge equipment overnight for best results.